For those suffering from chronic backaches despite years of dancing, yoga or Pilates, perhaps the solution lies in focusing on every day posture. When we are not in class, many of us spend several hours a day hunched over, shoulders slouched forwards and our heads and necks at awkward angles. The Alexander Technique can help our bodies remember what good posture feels like, while also keeping us in shape over time. 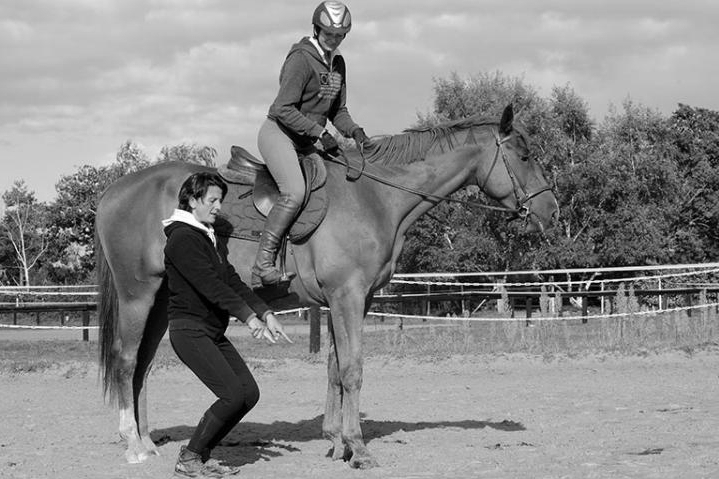 Véronique Bartin is one of very few people to teach this method in France, with a particular focus on performers and horseback riders, although many people come to her for personal development as well. We gave it a try and found it to be magical. So much that we decided to ask Véronique a few questions about this technique, still under the radar in France, but practiced by the likes of Raphaël Nadal, Juliette Binoche, Maggie Smith, Michael Caine, Paul McCartney, Madonna and Sting! Inside Out: How would you define the Alexander Technique? Véronique Bartin: The Alexander Technique is a psycho-physical method that unifies mind and body, focusing on each person as a whole, in order to improve overall function and to perform more efficiently in everyday life, whether they be an artist or an athlete. I/O: How did this method develop? VB: Frederick M. Alexander (1869-1955) was an actor who suffered from aphonia and sore throats. When treatment with traditional medicine proved unsuccessful, he began examining himself. He found that whenever he spoke, his body would stiffen immediately, and he took this as evidence that the physical, the mental and the emotional aspects of life were linked and always interacting. After eight years of close observation, he shaped his findings into a method to make the physical execution of movements more natural and thus easier. In 1930, he started a school. I/O: For how long has this been taught in France? VB: In France, it has been around for about fifty years, but the method is more widespread in Anglo-Saxon countries, northern Europe and in Israel. I/O: What is your mission with your clients? VB: To help people become aware of themselves and their physical patterns, allowing them to feel better and lead better lives, by finding their own flow, accuracy and stability in an enduring way. I/O: What was your training like? VB: I studied in England for three hours a day for three full years, plus a lot of practical work. Working with my hands, the sense of touch; and a lot of work on myself, trying to apply the principles of the technique to my own body. It is impossible to touch people and teach the Alexander Technique without having a working, personal understanding of it in the first place. After years of practice, I’ve adapted the technique to horseback riding, and I am the only one to teach it in France. I/O: The first step in working with you is to postural awareness. How does one do this? VB: Awareness starts with observing oneself and others. I guide my students with my words and my hands, and we begin with very easy postures like "standing up," "sitting down," "getting up," or "walking." I/O: What type of exercises do you use to get people back on track? VB: The starting point is their actual physical condition and the activity they practice: a musician or a horseback rider have needs that relate directly to their practices. My job is to get them to the required position. Then I’ll look at how they use themselves. The base of my evaluation is to look at "primary control," the cohesion between head, neck, and back. Afterwards, I’ll analyze whether what they think and what they do is coherent. Are they conscious about what they’re doing, and what are they thinking about while they’re doing it? You realize that some people know how they should position themselves but don’t do it, and don’t know how to remedy that. A lot of people are bound by habit, and try too hard to “correct” what they do, which often makes it worse. In these cases, it’s preferable to simply acknowledge the posture or position, and let the body do the rest. I/O: Some of your exercises are inspired by Pilates and yoga Nidra. Is it the final goal that differentiates what you do? VB: There is indeed some similarity with Pilates, when I work with a ball, or with yoga Nidra for the relaxation aspect of it. Even though Alexander and Pilates have a different history, it is all complementary and the purpose is the same. Alexander can lead to spirituality because the notion of "center" is essential, but it isn’t spiritual in itself. Regarding Pilates, the only major difference is that the Alexander method isn’t only focused on the body. Again, it’s a psycho-physical practice. A sort of common core, a starting point to understand ourselves better. Anyone can then build on that as they please. I/O: Why do amateur horseback riders come to you? What are they looking for? VB: They come looking for a better understanding of riding, as well as harmony with their horse. I/O: Do you think that real change is possible with a two or three-day workshop? VB: Let’s say it can be the first step towards real change! I/O: A lot of dancers and actors know and practice this technique, but you were a trailblazer by choosing to focus on horseback riders. How was this direction perceived by your peers? VB: At first I didn’t get a warm welcome, and the riders weren’t very open to the idea. With the teachers, it was different as they recognized a real need for this method. I/O: Has the perception of the method changed over time? VB: In the amateur circles, riding is increasingly focused on the psychological aspect of things, moving away from the strictly technical approach that was common for centuries. Teachers can see their students’ demands changing. 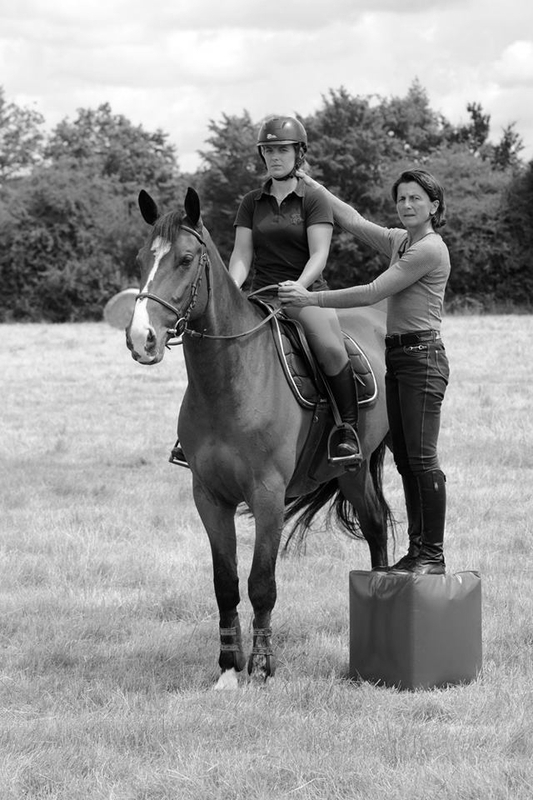 A lot of them practice yoga, meditation, or rely on osteopathy… And it has a direct influence on their riding. The teachers are usually open-minded about this, as they want to acquire new skill sets that will help the discipline evolve. Last Tuesday, for the first time, during a teacher-oriented course I was giving, I met a young woman who practiced yoga and meditation, and - oh, coincidence! - she handled herself particularly well on a horse. I thought about how much things had evolved since I started in a club, twenty years ago. As far as high level-competition goes, I’ve been working with Michel Robert, one of the best French riders (Show jumping World Champion in 1982, silver medalist at the 1994 world championships, bronze medalist at the 1988 and 1992 Olympics and at the 1982 and 1986 world championships), who has greatly contributed to changing the sport. The fact that methods similar to Alexander have been used successfully in other disciplines has also contributed to change perceptions. The French Federation has been contributing too, by offering courses with mental coaches. Despite all of this, many high-level riders continue to smoke, drink and eat poorly. Change is coming, albeit slowly. Like the FFE (French Equestrian Federation), I tend to focus on the younger generation, the one that will go to the Olympics in ten years’ time. They are the ones who will change things. Right now, in our discipline, change is still in its early stages. I/O: You’ve written a book with your husband Jean-Pierre Tiffon (a coach for mental preparation), entitled Le Cavalier Idéal (The Ideal Rider). How would you define her or him? VB: The ideal rider would have a harmonious relationship between mind and body, while also taking pleasure in riding. Talk about ambitious! I/O: The digital revolution has already changed the face of fitness and many other sports. How do you think your discipline will evolve? VB: I’m working on it! I think the difficulty resides in inventing content that accompanies and prolongs the teacher’s presence, to create a stronger connection, and have the widest reach possible. However, that initial contact with a teacher is still essential. I/O: Horseback riding is still one of the preferred sports for girls and women in France. Do you think it can be a tool towards empowering women? VB: Maybe the key to that is the horse itself: it is a very giving creature. This establishes a privileged relationship based on feeling and perception; a space to grow and feel free. Then, there is the fact that riding doesn’t demand much physical strength. Trying to forcibly coerce a horse is a losing battle, it’s a much more subtle exchange than that. For these reasons, it’s a sport that goes well with femininity and can bring confidence to women. I/O: There are more and more women in high-performance riding, but it’s still relatively new. Why do you think that is? VB: Because women are generally more and more represented, in sports but also in professional life. The modern woman wants to achieve her goals, to break old patterns. Riding is one of the few disciplines where men and women compete in the same events. These days, women riders feel confident that they can match their male counterparts. This is also due to the type of horses that compete: they are a lot lighter than before, which is an advantage for us! I/O: Posture is key when it comes to well-being. What advice could you give our readers so as to feel more centered, day-to-day? VB: Take a little break every hour, and try to assess your posture. "Am I sitting firmly on my hip bones? ", "Are my feet flat on the ground?" Imagine pressing "pause," without necessarily trying to correct your posture, then take a look and become aware of your position at a given moment. In time, these little moments of clarity contribute to changing your posture. It’s essential not to try to "do" anything, because this often yields short-lasting effects. I/O: How do you find balance between your work and personal life? VB: I’m working on it! I love working, it’s in my nature, but the people around me, especially my husband and daughter, do their best to keep me in line. I’m doing well about 70 percent of the time. I’m getting better! It’s one of my goals for 2018. I/O: Do you lead an ascetic athlete’s life, or do you occasionally slip up? I/O: As a woman, did you have to face any particular obstacles? VB: Developing the Alexander Technique in France has been my professional battle. Being a woman meant I was limited by the way I was perceived, I was always seen as "that young woman." I/O: Are there people in particular that have inspired you? If so, how? VB: Michel Robert, for his dedication to his work, his perseverance, his desire for change and his knowledge of horses. I/O: Who or what has helped you get to where you are today? VB: My husband helped me greatly by giving me confidence. And my teacher Daniel Pevsner (a former pupil of the Spanish Riding School of Vienna and Mestre Nuno Oliveira's student in Portugal, the first rider to advocate the use of the technique in riding). He taught riding as well as the Alexander Technique. I/O: Who makes up your community? VB: My community is mostly based on people I meet in real life, but I’m aiming to make it more of a digital community as well because I know it’s essential. It’s harder for my generation and I need to do it in a way that feels authentic, true to who I am. My main concern is for a quality community. I/O: Any athlete in particular you would love to coach? VB: Pénélope Leprévost (Show Jumping Olympic champion in Rio and vice-world champion in 2010 and 2014, 3d worldwide on the FEI Longines Ranking List in 2016), to see how she handles herself, her posture, her muscular tone, the way she functions. VB: On my website, my Facebook page, and at my home in Vierzon for classes and workshops. VB: "I don’t give a damn!" I can be pretty tense, so telling myself that I don’t care gives me a sense of freedom, it makes me feel like I can create something. These days, I use it mostly to protect myself from my own judgment.